There are some brilliant shows coming to London, both West End and off-West End this September. So whether you’re going back to school or back to work, don’t forget to come back to the theatre for a show! It’s 1963 and Mary, Kathy and Joanne are obsessing over cheerleader routines, choosing their college sororities, picking dresses for their weddings – even though the President has been shot and America’s inching closer towards war, if the girls can stay popular and pretty, everything will be fine… right? 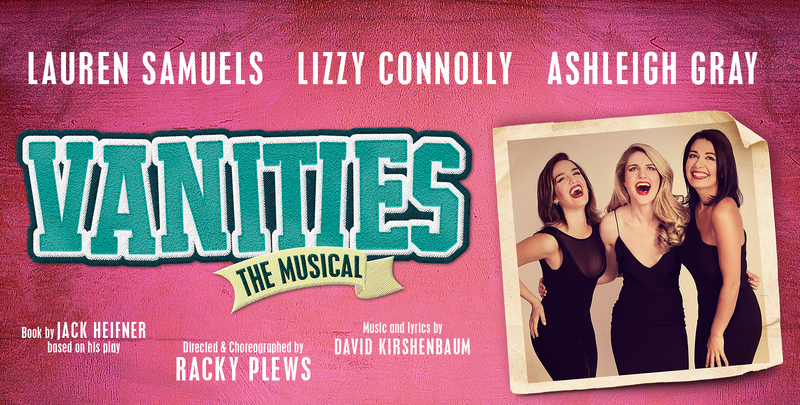 Vanities is a story about three best friends coming of age in Dallas at a time being smart wasn’t as important as how short your skirt could be. Money, greed and power are at the core of Beth Steel’s play Labyrinth. John is an aspiring Wall Street power player and is soon climbing the corporate ladder at the poorest people in society’s expense. The cracks begin to appear and an all-too-familiar financial crash looms in the wake of John’s greed. Jane Austen’s classic romance Pride and Prejudice comes to Regent’s Park this September for a limited time only. Matthew Kelly and Felicity Montagu star in Simon Reade’s adaptation, following the complicated lives of Elizabeth Bennet, her family and the dashing Mr. Darcy. Ian McKellen and Patrick Stewart will finish their tour around the UK with No Man’s Land on the West End, at Wyndham’s Theatre. In Harold Pinter’s play, two writers drink the night away, revealing stories and secrets along the way. Don’t miss these legendary performers live on stage! During America’s Civil War, a slave named Hero is offered his freedom, but at a cost – he must fight for the losing side. Father Comes Home From The War is set in 1852 and America is tearing itself apart over the struggle to end slavery. Will Hero secure his freedom at the cost of the lives of other slaves? Is the promise of his freedom just a fantasy? Suzan-Lori Parks’ Pulitzer Prize-winning trilogy of short plays comes to the Royal Court, having previously premiered at the Public Theater in New York. The ultimate tale of greed and fame, Doctor Faustus sees a man so frustrated at life’s limitations that he strikes a deal with the Devil. He’ll trade his soul in exchange for 24 years of unlimited knowledge and the fame it will bring. Even more exciting, this production will see two actors vying for the role of the Doctor every night; they’ll each light a match on stage and whoever’s burns out first, will play him. The other will take on the role of Mephistophilis, the Devil’s messenger who attempts to aid the Doctor, warning him of the dangers of his dealings. Vincent Simone and Flavia Cacace, stars of Strictly Come Dancing, have been performing together for 20 years and now they bring the powerful Argentine Tango to the Phoenix Theatre. The Last Tango is set to dazzle audiences and will definitely ignite a few passions. This will be Vincent and Flavia’s final show together, so don’t miss your chance to see this pair of world champions perform! Dominic Cooper stars as the notorious lover, poet and playwright, the Earl of Rochester in The Libertine. Endlessly charismatic, the Earl moves in royal circles in the court of King Charles II, but can his wild ways be tamed by the appearance of Elizabeth Barry (Ophelia Lovibond), an actress at the Playhouse. With so many great shows opening this month in London, what will you see? Explore more of The Insider and find out what happened when Ambassador Perry met The Bodyguard cast!